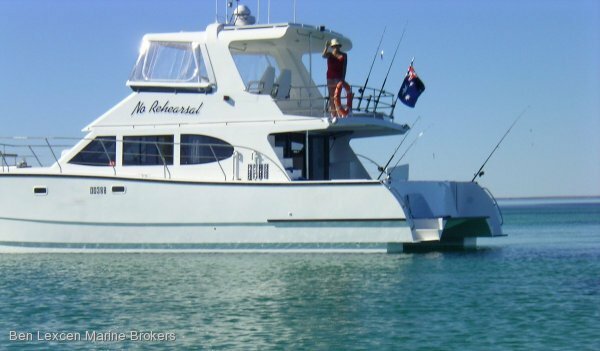 41' Peter Brady Designed Displacement Powercat launched in 2006 powered by 2 steyr 6cyl turbo engines. 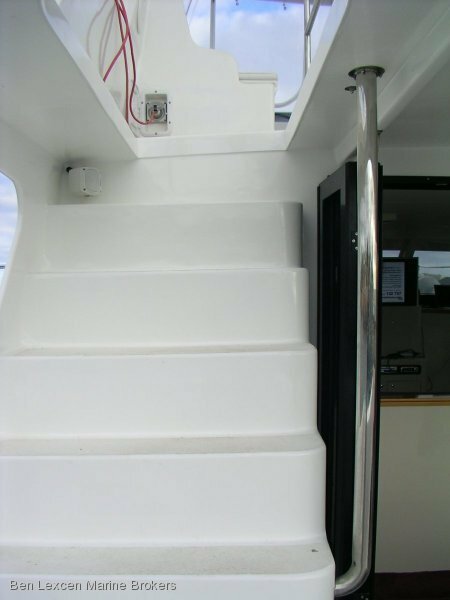 Custom built by John Cathro with hand laid fibreglass. 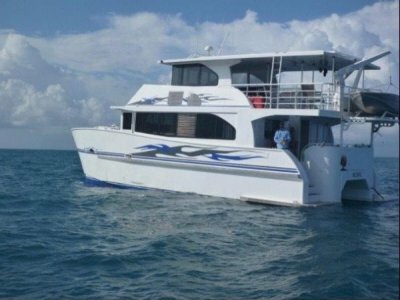 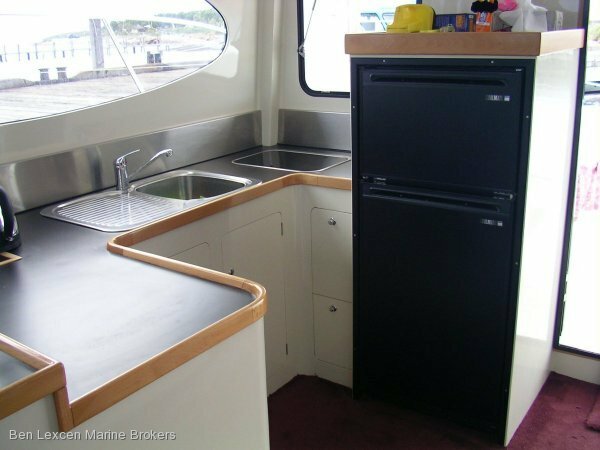 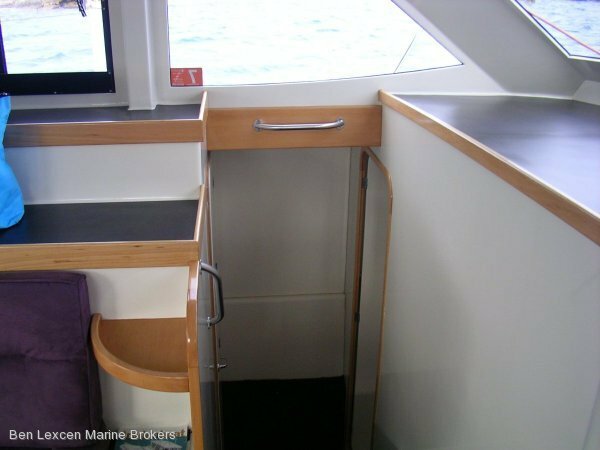 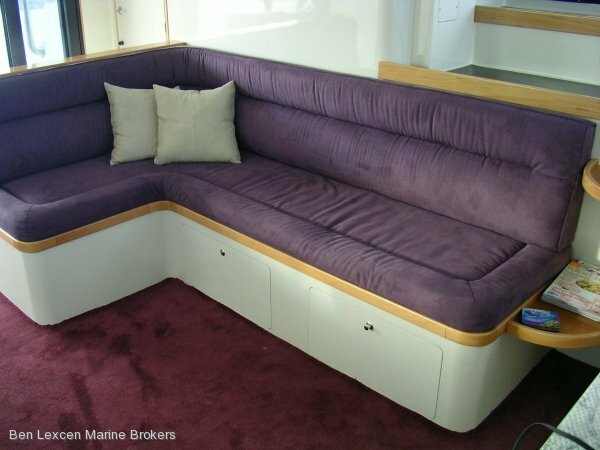 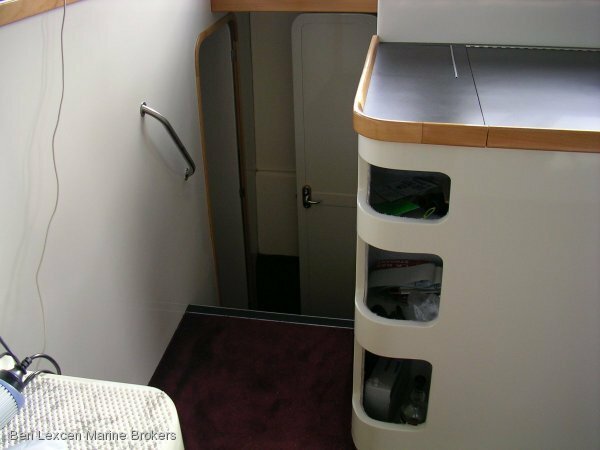 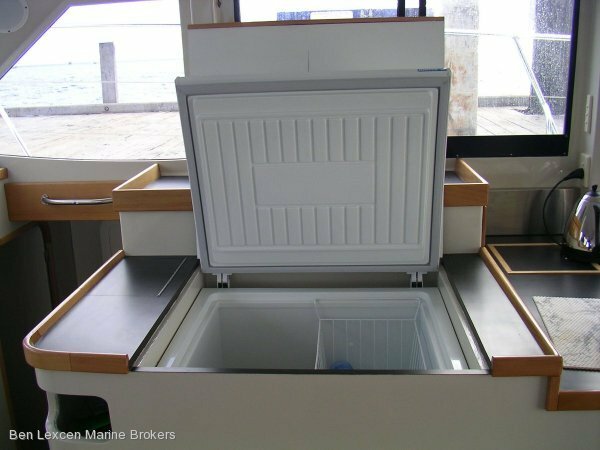 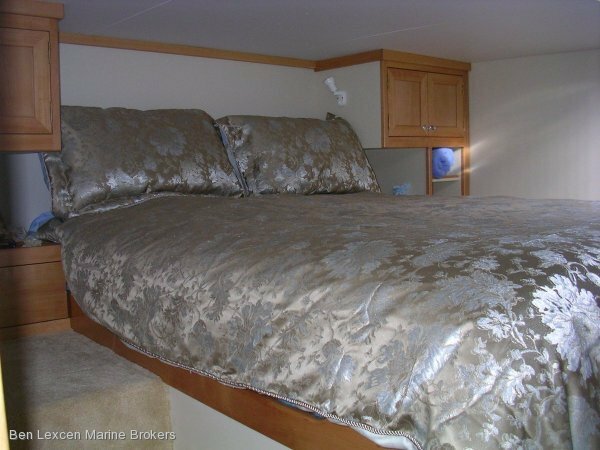 Can accommodate 5 in comfort in 3 cabins, 2 master cabin doubles and 1 single and has a full functioning galley with full size fridge, gas hotplate and oven and loads of cupboard space. 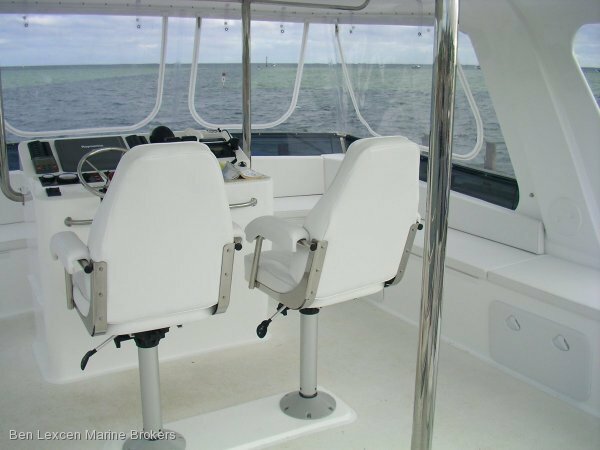 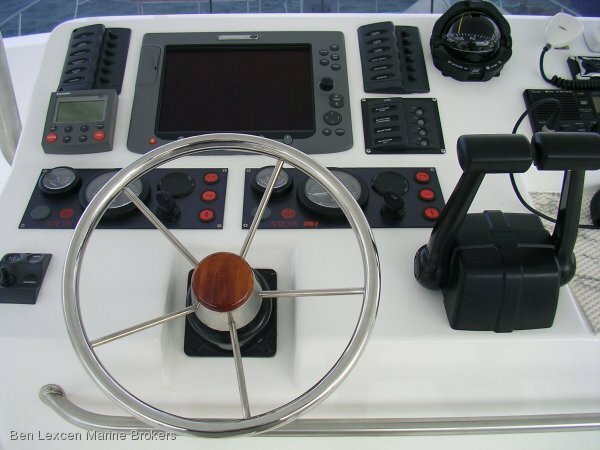 Fitted with complete Raymarine Navigation systems and safety equipment. 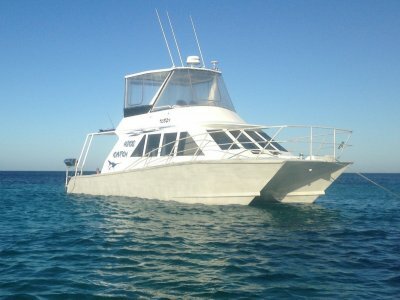 This Powercat was built to WA Survey and can easily be put back into survey. 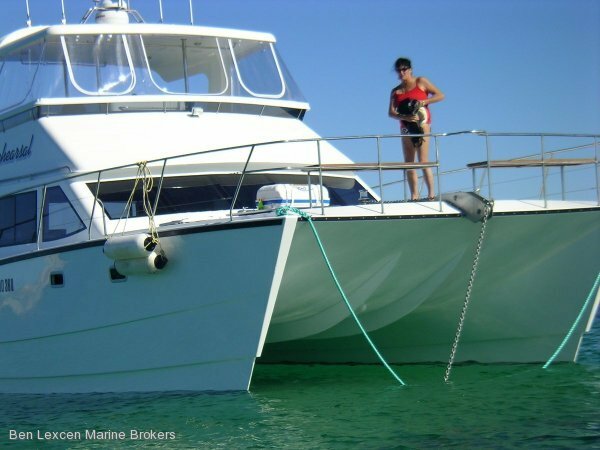 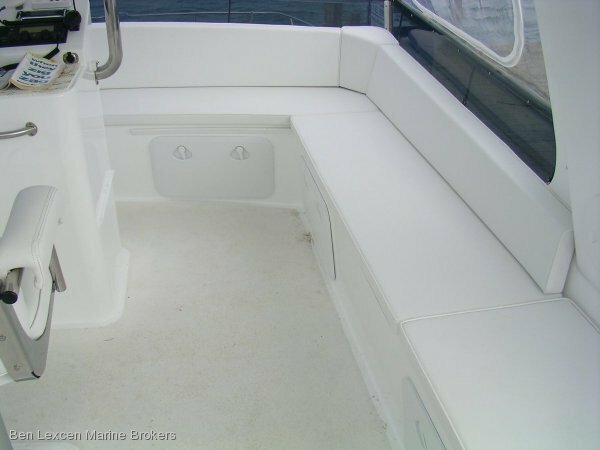 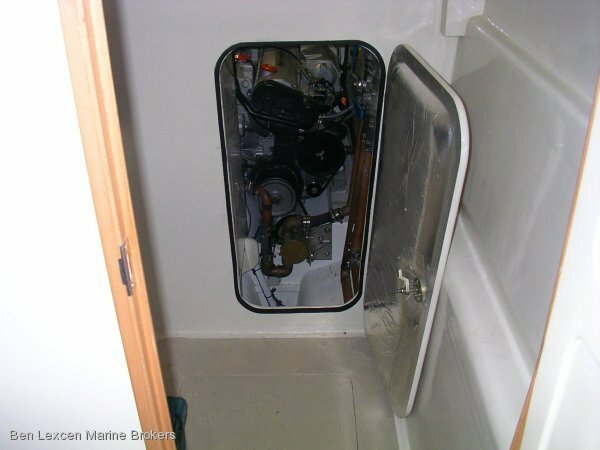 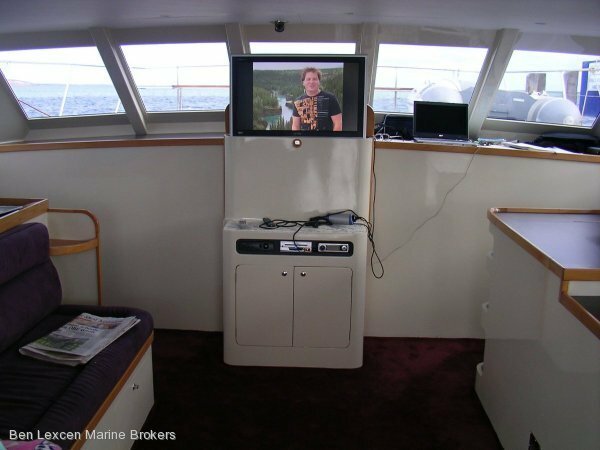 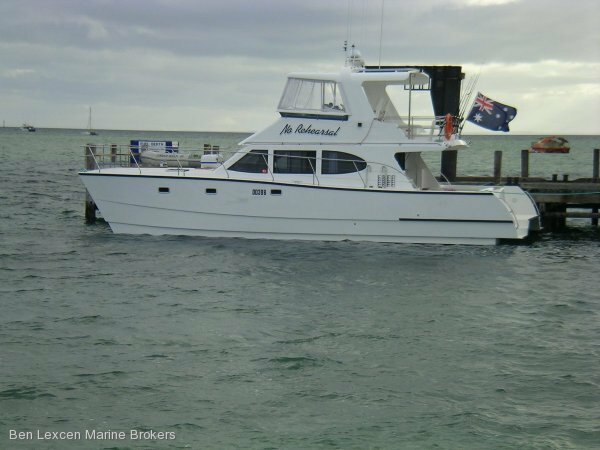 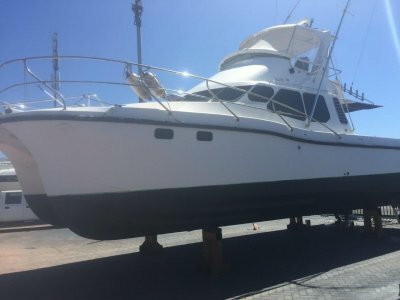 One Owner from build, she is a very stable sea going powercat great iunder any weather conditions and her versitility is vast. 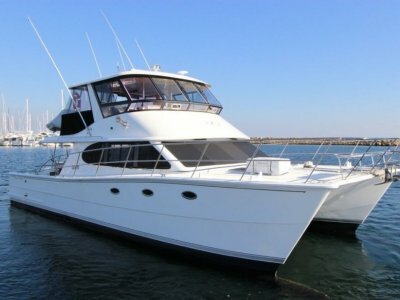 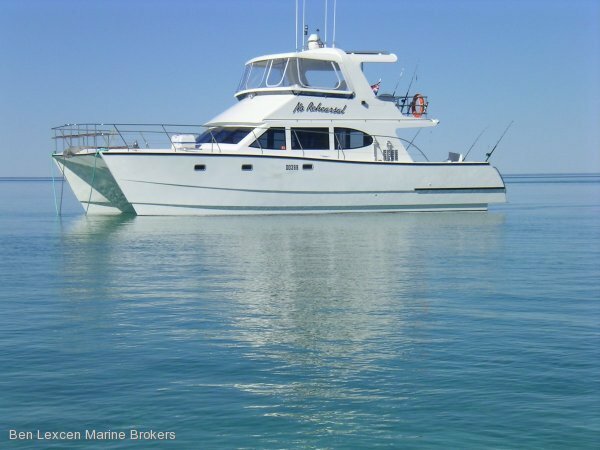 Owner does annual trips from Bunbury to Shark Bay and has proven to be a great coastal cruiser time and time again. 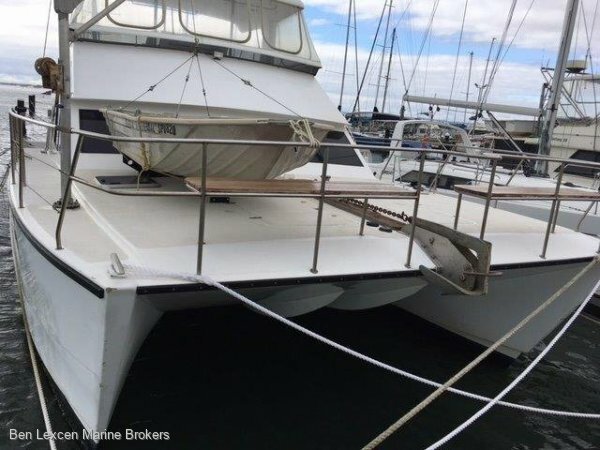 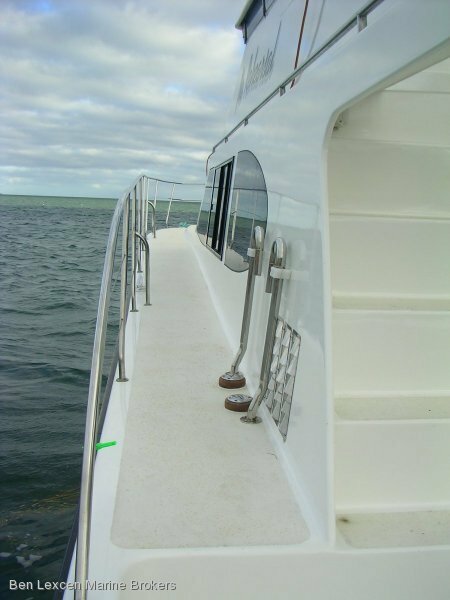 Is a highly maintained power catamaran with services and anti-fouling done annualy. 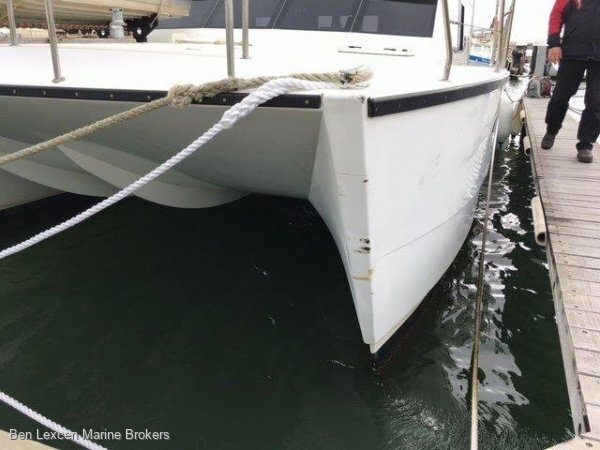 Last out of water February 2016. 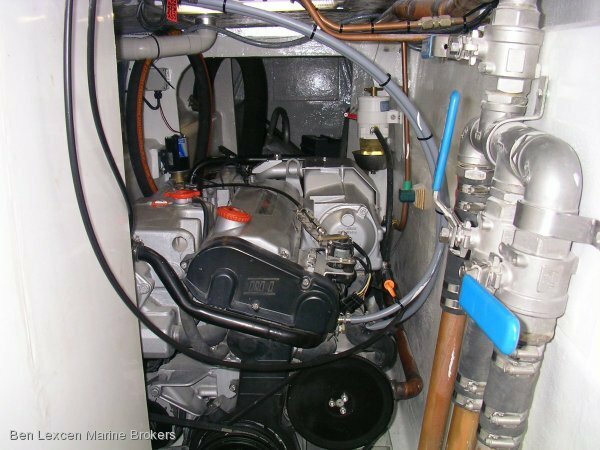 An inspection of this powercat will not disappoint. 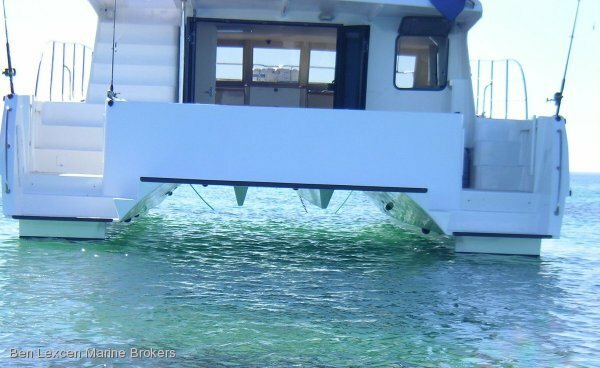 Call our office today.